The ALDS MiniBuddy Voice Amplifier has been developed for those with temporary or permanent voice impairment. When using the MiniBuddy a comfortable speech level can be achieved for effective everyday communications while reducing vocal stress and strain. We guarantee you the ‘wow’ factor when you give our voice amplifier a try. With 8 watts power coupled with a 2 ¾” aluminium reinforced speaker cone, crystal clear and distorted voice reproduction is what you can hear. 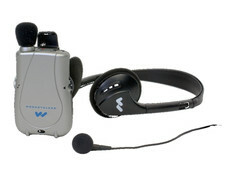 The ALDS Mini-Buddy Voice Amplifier has been developed for those with temporary or permanent voice impairment. When using the Mini-Buddy a comfortable speech level can be achieved for effective everyday communications while reducing vocal stress and strain. * Featuring environmentally friendly high capacity Nickel Metal Hydride batteries (NiMH) that can be recharged overnight. * Lanyard, belt mount or shoulder strap convenience. * Single power & charging indicator light. 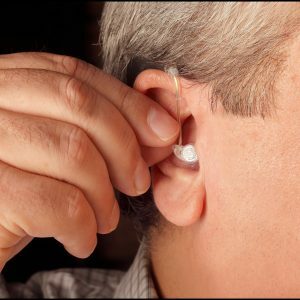 The Mini-Buddy allows dependable operation from 4 to 8 hours of continuous use depending on amplification requirements. The greater the amplification, the greater the draw on the battery.